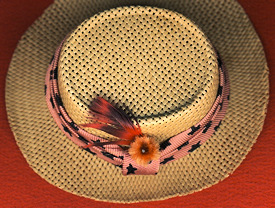 Dreamboat is usually very easy to find, except the straw hat is often missing or badly frayed. Usually they will be somewhere between these two. 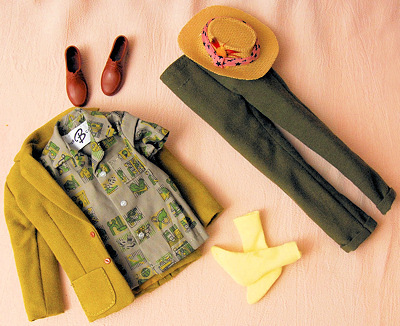 Along with the shirt, the jacket should also have a Ken™ tag. 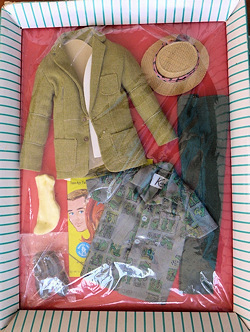 This NRFB (never removed from box) version sold for $110 in March 2013. 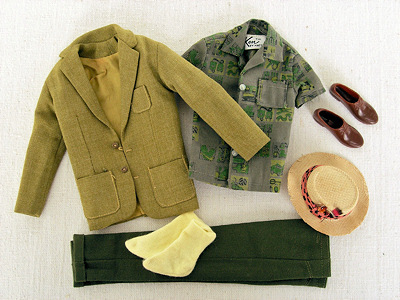 In the 1961 Mattel Dealer Catalog, it was pictured with khaki slacks and a red hatband! 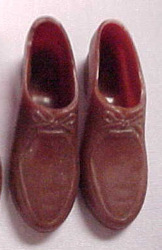 The brown shoes are easy to find. They should be kind of squishy and both should be marked Japan on the bottom. 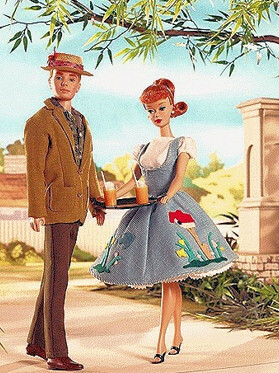 Dreamboat was reproduced in the 2006 Friday Night Dream Date Barbie and Ken Gift Set. 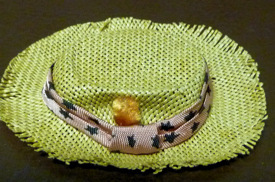 Except for the tag, it is very similar to the original. 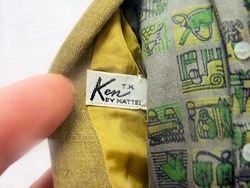 The original has a Ken™ tag, the reproduction tag has a "B" and says reproduction. 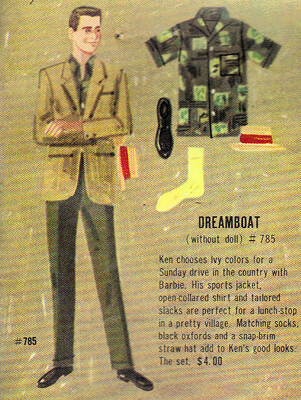 This is Dreamboat from the original Vintage Barbie booklet that was included with the outfit.